The troops supported by the Air Task Force swiftly responded to the attack killing 16 insurgents and capturing two trucks loaded with guns abandoned by the insurgents. Col. Onyema Nwachukwu, Deputy Director Public Relations, Theatre Command Operation Lafiya Dole, disclosed this in a statement released in Maiduguri. Nwachukwu said that the troops also recovered two gun trucks abandoned by the insurgents during the encounter. 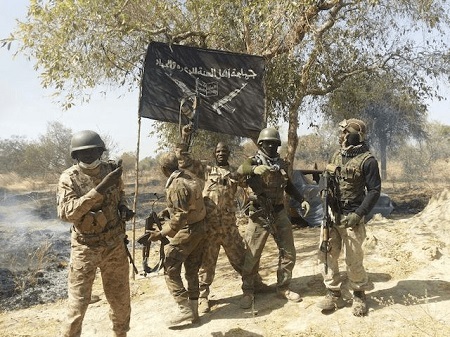 “The insurgents in three vehicles, including Gun trucks had infiltrated and attacked the community, when troops at the formation were alerted by locals . During the fire fight, he said, four civilians and a soldier unfortunately, sustained varying degrees of injury and have been promptly evacuated to a Military Hospital, where they currently receiving medical attention. “The FOB has been further reinforced with additional troops, while fighting patrols are on the trail of the insurgents who fled the attack. He said that normalcy has been restored and the people of Mongonu Local Government Area are enjoined to remain vigilant and report any suspicious person(s) or activities as they go about their normal business.